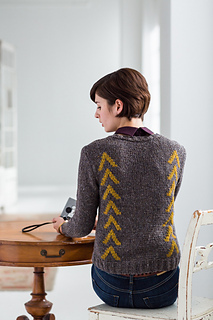 A basic pullover is elevated by tiered rooftops of bold chevrons. 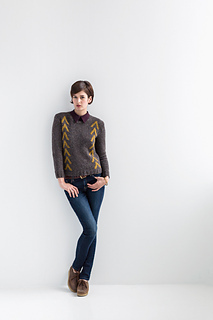 Seamed construction provides a crisply structured fit and the arrowhead motif is worked in intarsia. Heighten the playful graphic effect with bright or high-contrast color choices; choose a tone-on-tone pairing to create more subtle interest. 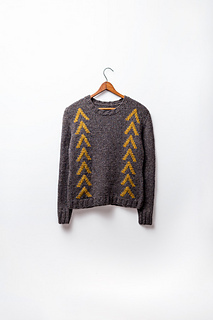 Please note: the Intarsia pattern in this garment is charted only.